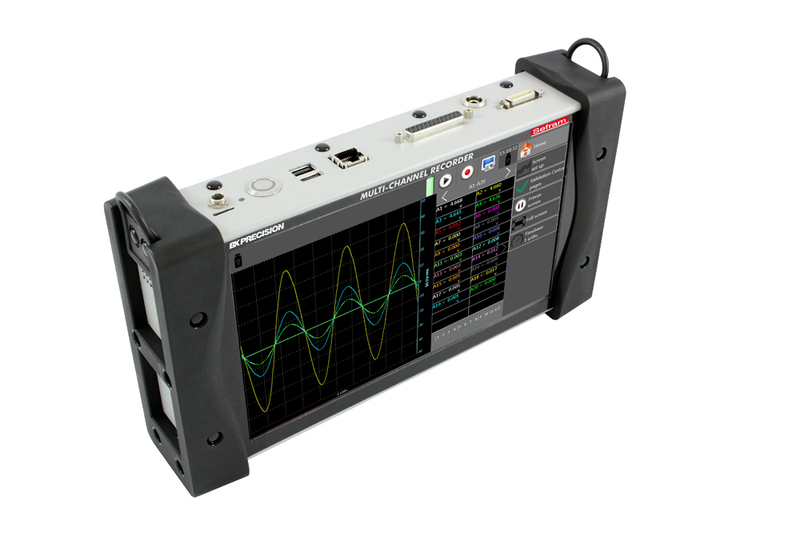 The DAS240-BAT measures parameters commonly found in process applications including voltage, temperature, current, resistance, frequency and pulse. It includes 20 universal analog channels with convenient screw input terminals that can be expanded up to 200 channels. 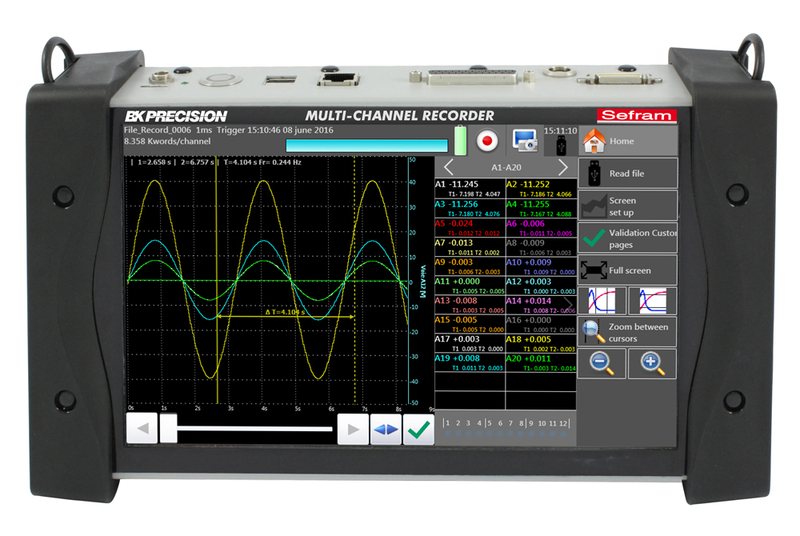 This recorder was developed by B&K Precision’s subsidiary Sefram in France, which specializes in the design and manufacture of data acquisition instruments, field strength meters, and other test and measurement instruments. 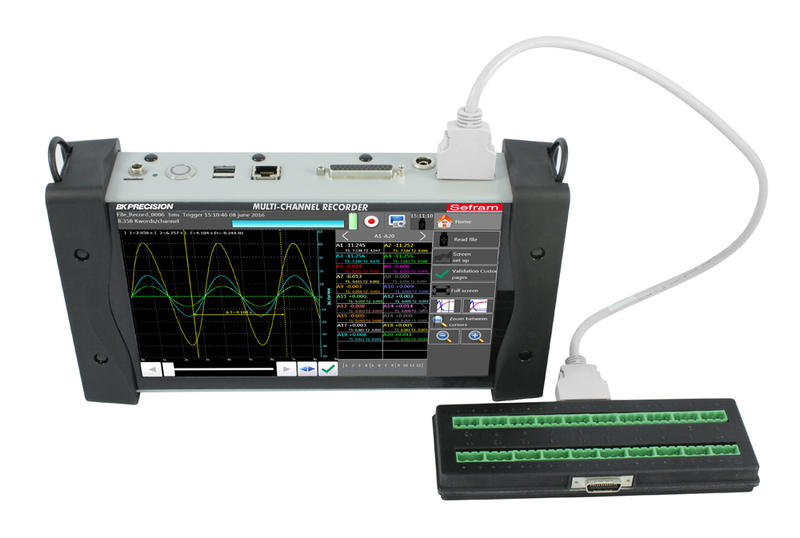 Measurement results can be viewed graphically and numerically on a 10-inch color touch screen and saved to internal solid state memory or an external USB memory stick. Icon-driven menus make the instrument easy to navigate. The free DasLab Windows PC software allows users to remotely control and configure the recorder, transfer logging results and configuration files, and view live data in graphical or numerical format on the PC. 20 Channel board module for DAS240-BAT. 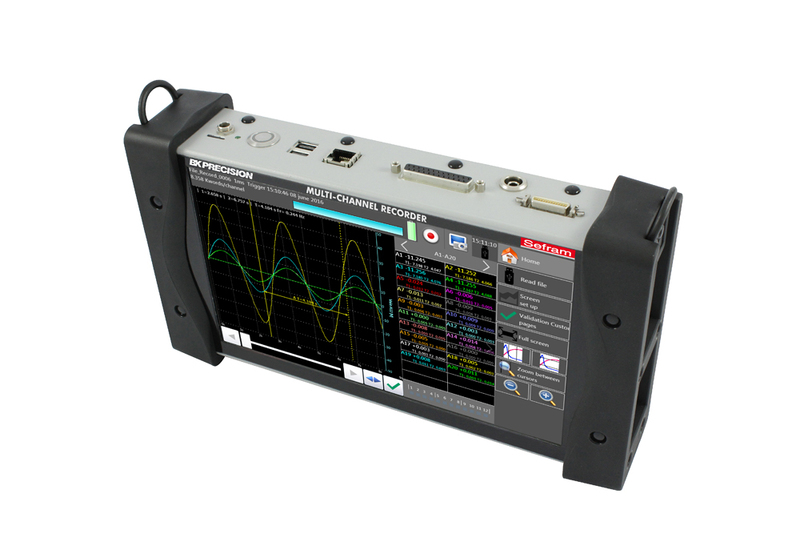 Includes 20 pack of input connectors and adapter for securing multiple modules together.